You must see this RV lot in a great location! With - You must see this RV lot in a great location! With 2 RV hookups, it includes a 282 sf support building with a ¾ bath, a shed and a very well maintained very cozy fully furnished one bedroom 1998 8' x 36' Lanca travel trailer, lot is graveled, fenced and it has an electric gate for easy access. Price Reduced! Commercial lot in your neighborhood - Price Reduced! Commercial lot in your neighborhood. What a better way to serve your community than to have a small scale retail shop or service in this convenient location, only 1 1/2 blocks from the San Luis Port of Entry. Think of the possibilities, maybe a shopkeeper unit with residential unit on the 2nd floor or behind your commercial frontage. This lot has 85' of frontage and alley access. Very clean property with four bedrooms in a cul-de - Very clean property with four bedrooms in a cul-de-sac street close to green area, spacious kitchen with plenty of cabinets, two car garage with roll-up door to the back for easy access to the large back yard area. You must see it! Call today for an appointment. Looking for a 4 bedroom home? Well this is it! Loc - Looking for a 4 bedroom home? Well this is it! Located in city limits and its only 3 years new, this house has four bedrooms, two full bathrooms on a split floor plan, the master bedroom has double closets, large back yard with double gates. Close to shopping and access to I-8. Don't wait call today! 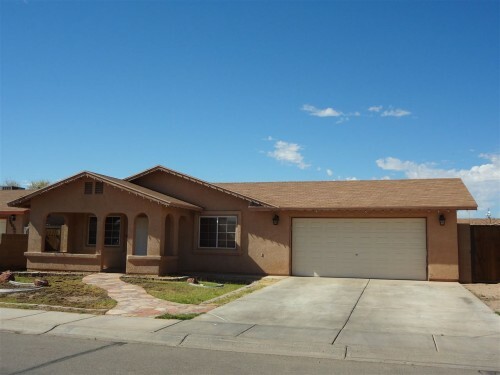 4 Bedroom Wellton AZ Home for Sale - 4 Bedroom Wellton Yuma AZ Home for Sale. Sitting on a hill and overlooking the Wellton valley to the North, this large 3 -4 bedroom ranch style home has breathtaking views that can be seen from 360 degrees. Inside, the granite kitchen and stained concrete floors look out to the back covered patio and Wellton valley. Open concept living area has a welcoming fireplace for the chilly winter nights. Summer months won't be a bother, because this home was built with walls that are R41 rated. More land is available for sale surrounding the property. 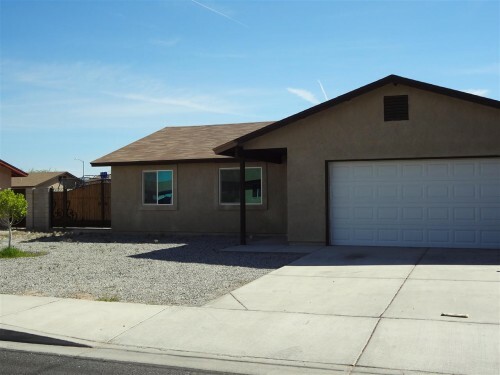 Contact Denise "Sweet" McGregor for more information about this 4 Bedroom Wellton AZ Home for Sale.